Implementing an ERP software solution is a significant investment for any organization and one that warrants careful evaluation and thorough understanding of all of the costs involved. At MIG & Co., we believe in doing everything we can to help you control those costs. 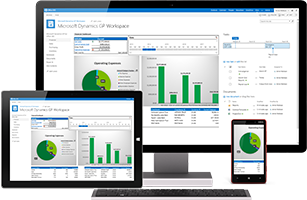 This means providing you with the most accurate and up to date Microsoft Dynamics GP pricing information. User Licenses – how many full and limited access users do you need? Implementation – how much training and third-party software integration is needed? Support Services – what level of post-deployment support services will you require? Deployment Options – will you be deploying Dynamics GP on-premises, in the cloud, or some combination of both? Fill out the brief form below and one of our account managers will contact you to quote a complete price breakdown of a Microsoft Dynamics GP deployment, including software licenses, maintenance fees, and implementation costs. Imagine interacting with the best possible business management solution and describe a day in the life of you and your organization. How would that interaction look like?